From Australia to Tonga: Daily flights to and from Brisbane, Sydney and Melbourne to Tonga. From New Zealand to Tonga: Five flights per week to Tonga. From UK/Europ: Daily flights from London to Auckland via Los Angeles, alternatively connecting flights via Hong Kong to Auckland conntecting to Tonga five times per week. From USA to Tonga: Daily flights from Los Angeles to Auckland connecting to Tonga five times a week. Check out Code Share flights now available with Virgin Australia via Auckland and Sydney. From Australia to Tonga: Two flights per week from Sydney to Tonga (Tuesday & Thursday). From New Zealand to Tonga: Two flights per week from Auckland to Tonga (Tuesday & Thursday). 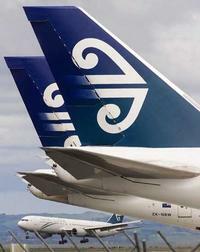 Check out Code Share flights now available with Air New Zealand via Auckland. From Australia to Tonga: Two flights per week from both Brisbane and Sydney to Nadi with connecting flights to Tonga (Tuesday & Thursday). From USA to Fiji: Three flights a week from LA and Honolulu to Fiji. From Fiji to Tonga: Four flights per week to Tonga. We are available 24 hours a day to assist you with your flight reservation requirements. How to get out to and around the beautiful islands of Tonga.